U-9 and U-10 will play 6 vs 6 INCLUDING goalie. U-11, U-12, U-13, U-14, U-15 and U-17 will play 5 vs 5 INCLUDING goalie. All U9, U10, U11, U12 and U13 games are 18 minutes long. U14, U15 and U17 games are 24 minutes long. See Official Rules for complete tournament rules. What kind of surface are the games played on? U-9 through U-13 games will be played indoors in the high school field house (hard rubber composite), the high school gym (wood), and the middle school gym (hard rubber composite). NO CLEATS will be allowed – all players must wear sneakers or indoor soccer shoes with non-marring soles. U-14 through U-17 games will be played outdoors (weather permitting) on our new articifial turf field. Cleats or turf shoes may be worn, but metal spikes will not be allowed. What is the size of the fields? The fields are approximately 80 feet by 60 feet. Walls, where applicable, are not in use. What is the minimum/maximum number of players I can roster? There is a roster limit of twenty (20) players. For U-9 and U-10, teams may bring to the tournament players officially rostered with their state governing soccer association. Only 12 players from the team can play in any single game. Only 6 players, including the goalkeeper, are allowed on the field at any one time. For U-11, U-12, U-13, U-14, U-15 and U-17 teams may bring to the tournament players officially rostered with their state governing soccer association. Only 10 players from the team can play in any single game. Only 5 players, including the goalkeeper, are allowed on the field at any one time. How much is the tournament entry fee? The entry fee for teams of any size is $350. Can I split my team and enter two tournament teams? Yes, you may enter more than one tournament team. However, each team will be responsible for the full $350 entry fee, and one of the teams will be waitlisted and will only be accepted into the tournament if space allows. You must identify the team to be initially accepted. Can I combine members of two teams of the same age group to make a tournament team? Yes. You will have to present a copy of the certified rosters of BOTH teams at registration, along with a player pass and medical release for each player. You may roster a maximum of twenty (20) players. Will there be food service on site? Yes, there will be cafeteria service all day at Staples High School offering a broad, affordable menu. Will there be medical help on site? There will be several trainers on site throughout the tournament. Additionally, EMS is notified in advance of the tournament and is on call should we require their assistance. When will I know if my team has been accepted? You will receive an email acknowledging receipt of your application. Registration materials will be forwarded to accepted teams beginning the second week of February, continuing until all tournament slots have been filled. 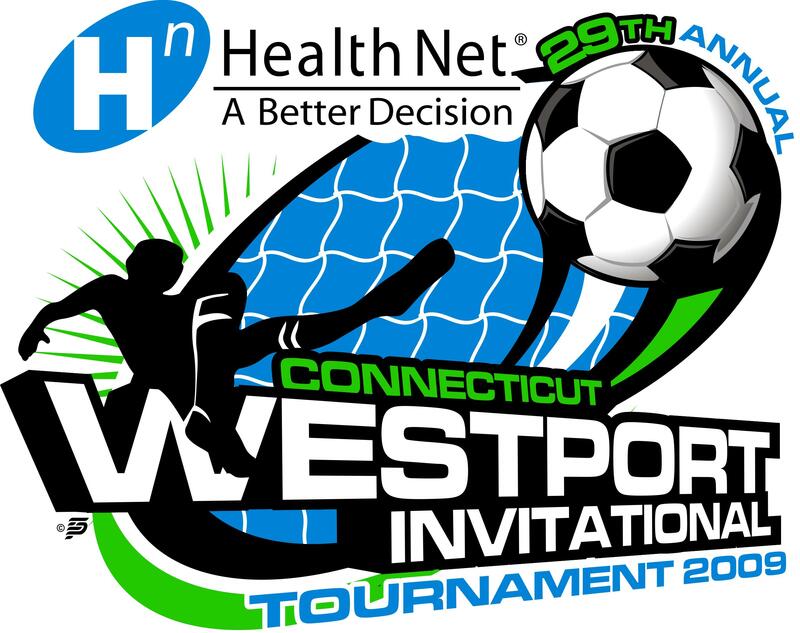 As available, tournament schedules will be posted on the WIN2009 Website. Are the T-Shirts free? What is the T-Shirt Information Form for? The T-Shirt Information Formis just that - an information form to collect the names of team players so that heat-transfer decals can be pre-produced for application on T-shirts (and other items) that the children may purchase at the tournament. The names are optional on the shirts, and the shirts are tournament souvenirs priced starting around $15 at the tournament. This cost is not included in the team's application fee - it is entirely separate. There is no obligation to buy the shirt if a manager fills out the T-Shirt Information Form, but the kids may only opt for the personalization of a tournament souvenir t-shirt if the manager has completed the T-Shirt Information Form in advance. Tournament sweatshirts start in price around $35. A variety of long-sleeve T's and sweatshirts is also available. Our experience over the last several years is that as many as 80% of participating children buy t-shirts, and most of them desire to get them personalized. Every child could get a personalized tournament souvenir t-shirt if each manager would complete the T-Shirt Information Form to submit the names - we have had a lot of kids who ask for peronalization but cannot get it as the info was never provided by the team manager (and, therefore, the decal could be produced).